When it comes to safeguarding sensitive and personal data across your enterprise, you can’t afford to leave any stones unturned. New data privacy regulations such as the GDPR call for greater protection of sensitive and personal data. But before you can protect personal data, you need to identify it—and in today’s ever-connected world where data volume and variety are growing exponentially, knowing the exact location of all sensitive data that exists within your enterprise can be an overwhelming challenge. If any of it gets overlooked, and you experience a data breach, your brand and bottom line can suffer. Who needs sensitive data discovery, and why is it needed now more than ever? What’s different about DgSecure Detect, and how does it compare to other solutions? What data repositories can DgSecure Detect scan, and what sensitive and personal data can it find? 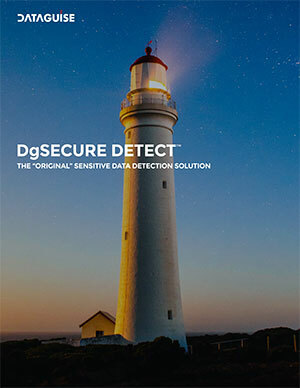 Why choose DgSecure Detect for sensitive and personal data discovery?